Rohan Jangi | OK Listen! 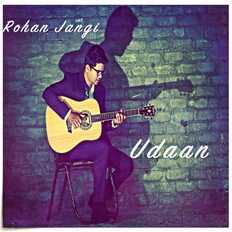 Rohan is a singer-songwriter, producer and performer (independent artist) from Pune. As a young child he dreamt about being a serenader. This took shape when he was first introduced to music by his late father who was a music aficionado himself. Rohan is learning Indian classical music and is a multi instrumentalist, playing the Guitar, Piano and the Harmonium. He writes music which are reminiscent of Western pop, Indian folk and old Bollywood melodies. Hugely inspired by John Mayer, Lucky Ali, Kishore Kumar and many other artists he decided to quit his IT career and pursue a career in music. He started writing songs the same year he started playing guitar, he formed a band in college which he played with for a while and later decided to pursue his solo career.